OREM, Utah – The New Mexico State women’s basketball team made it eight-straight wins and 12 of its last 13 after a 68-58 win over Utah Valley on Saturday afternoon at the UCCU Center. Sasha Weber marked a career-high 24 points to lead the Aggies (12-6, 5-0 WAC) to a perfect 5-0 start in Western Athletic Conference play, their best start in conference play since a 6-0 start in the High Country Conference in 1990. NM State ties its fifth-longest winning streak in program history after leading wire-to-wire against a very prepared Wolverine team. All 12 Aggie victories this season have been by double-digits. The Aggies were outshot by Utah Valley (7-12, 1-3 WAC) after NM State only sank 37.1 percent of its field goals (23-62). The home team also won the 3-point battle 46.7 to 39.3 percent, but the Aggies were heavily aided by going 11-of-13 from the free throw line (84.6 percent) for the second-straight game. NM State made its free throws when it counted, down the stretch to keep the Wolverines at bay, as both Weber and Shanice Davis, who finished with 15 points, made their free throws in the final minutes of the game to preserve the Aggie win. Weber finished 6-16 from the floor with all of her field goals coming from beyond the arc. Her six 3-pointers moved her past former Aggie Madison Spence for fifth place all-time on the made 3-pointers in a career list for NM State. Weber now has 160 3-pointers in her career. Up next at the fourth spot? Her assistant coach Cecilia Russell-Nava who sits at 172 3’s. Brianna Freeman added her third double-double of the season after finishing with 12 points and tying a career-high of 13 rebounds, including eight on the offensive side, the most for any Aggie this season. Four different players scored the first nine points for the Aggies as the visitors jumped out to a 9-2 lead after an early 7-0 run. Utah Valley had an answer, however, and after marking six-straight points out of the under-16 timeout the Wolverines had cut the NM State lead to one at 9-8 with just over 12 minutes left in the half. In a back-and-forth first half, the Aggies struck right back by scoring 13 of the next 16 points, and after a Davis 3-pointer heading out of the under-8 media timeout the NM State lead hit double-digits at 22-11. But Utah Valley again had an answer as the only Aggie points over the next five minutes came off of a couple of Freeman layups. When the media timeout hit with 3:36 left in the opening frame, the NM State advantage was down to four, 26-22. NM State would have the final run of the half, however, as the Aggies scored the first eight points after the timeout on two Weber 3-pointers and a couple of free throws by Davis. NM State would close out the half on a 10-2 run that gave the visitors a 36-24 advantage heading into the locker room. Weber and Davis were already in double figures at the break, Weber with 12 points and Davis with 10. Freeman, meanwhile, had already eclipsed her season average in rebounds as she finished the half with eight rebounds while adding eight points. The Aggie lead would grow to as many as 15 with under 15 minutes left in the game, but a 9-0 Utah Valley run would close the gap to six at 48-42 with under 11 minutes left. 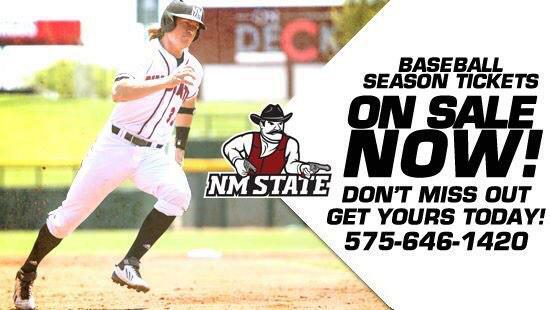 But as it has done all season, NM State would not panic and answer the bell. The Aggie defense would stiffen and would only allow the Wolverines two buckets over the next five-plus minutes. The 12-4 run gave NM State back its double-digit lead as the visitors went up by 14, 60-46, with 5:46 left in the matchup. The lead would never get back to single digits as the Aggies iced the game at the free-throw line en route to their best start in conference play in 25 years. NM State now has a week to prepare for Texas-Pan American, which is also undefeated in WAC play at 4-0 and plays at Grand Canyon later tonight. A Bronc win on Saturday will set up a matchup for first place between two undefeated teams next Saturday, Jan. 31, in Edinburg, Texas. Gametime for next Saturday’s big game is 1 p.m. (MT). The game will air live over ‘The Ticket’ AM 570 with Adam Young. An Aggie win next Saturday will insure a perfect January for NM State for the first time in program history.